The Super NES Classic Edition has launched around the world. Bethesda has taken notice, and is celebrating in its own special way. 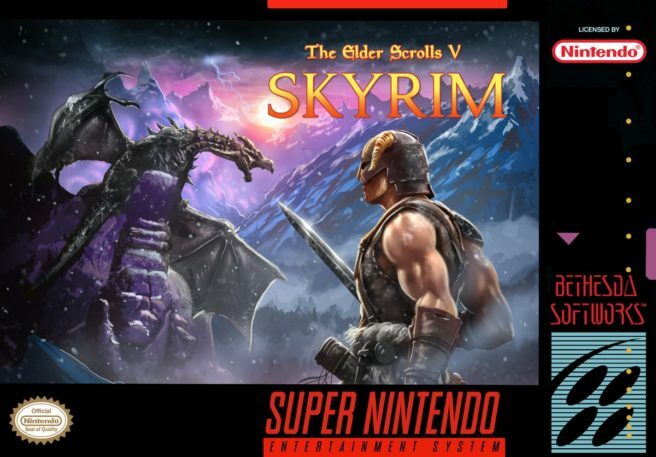 The company thought about what the boxart for The Elder Scrolls V: Skyrim could have looked like had it been on the SNES – see the image above.